As the UK slowly springs into warm weather and with further voting on the horizon – what better time to give you an update on how the Steam version of Rapture is shaping up. We’ve been plugging away at the new version which will be on both PC and Mac. It’s been more work than we originally thought, but should be worth it. As well as the new platform release we are adding a bunch of new content to the mobile game. That also shows off the updated HUD – with new icons. You’ll have to work out what they are yourselves! 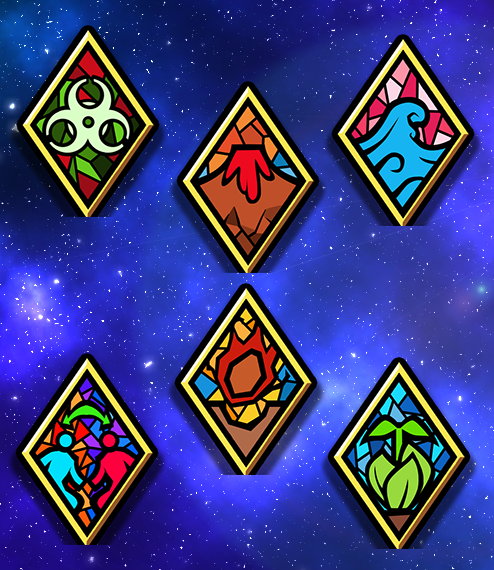 We had a lot of requests for civs and we hope you enjoy the choices. Where possible we haven’t gone for modern civs where we already have ancient civs – so we didn’t go for Turkey as we have the Ottoman Empire. 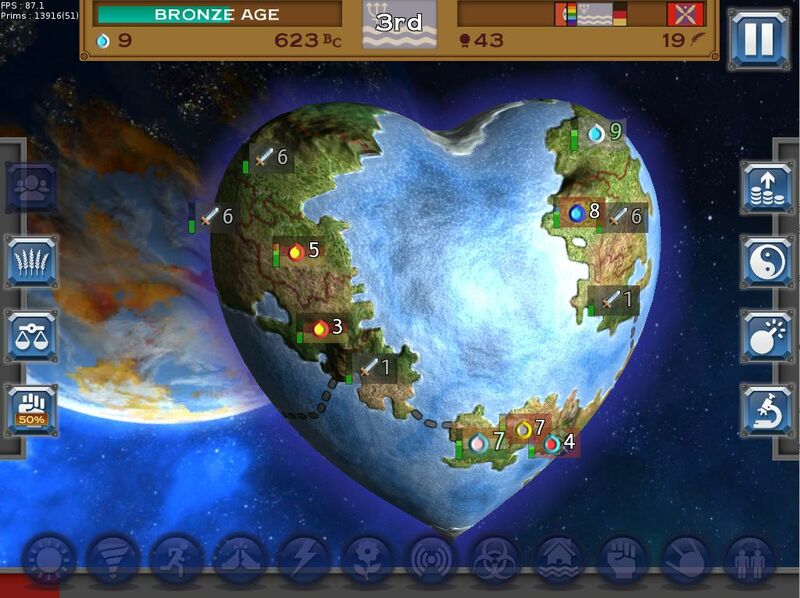 However saying that, we’re happy to keep adding civs, so please let us know what you’d like to see in the game. This is the third in the series of articles discussing the experience of working on our title, Rapture – World Conquest. Hopefully you’re still along for the ride! The other articles can be found here (looking at the main release in November 2014) and here (looking at going from paid to free to play). This article will delve into life since October 2015 after we released the game for Android. Tundra consists of myself (Dan Collier) and Andy Weinkove. We’re game industry veterans, having done our time in the game dev trenches. A few years ago we decided to throw our hats in the indie ring by starting our own company and creating our own game. 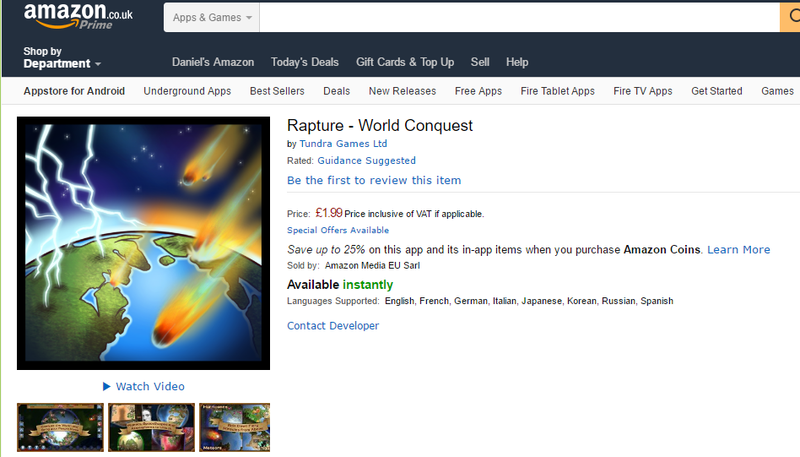 Rapture – World Conquest is on iOS here and on Android here. 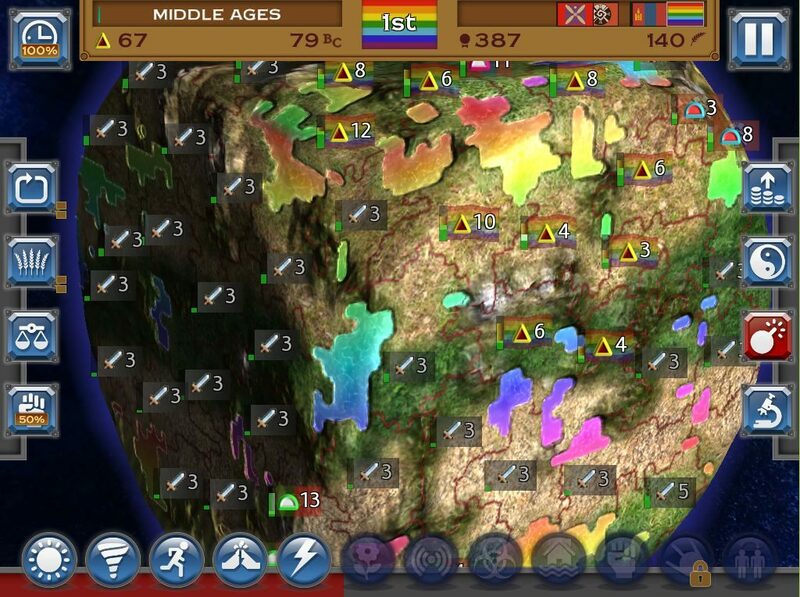 It’s a mix of strategy and arcade – where you play a jealous god directing your armies to wipe out the opposing armies – all before the Rapture descends on the planet. 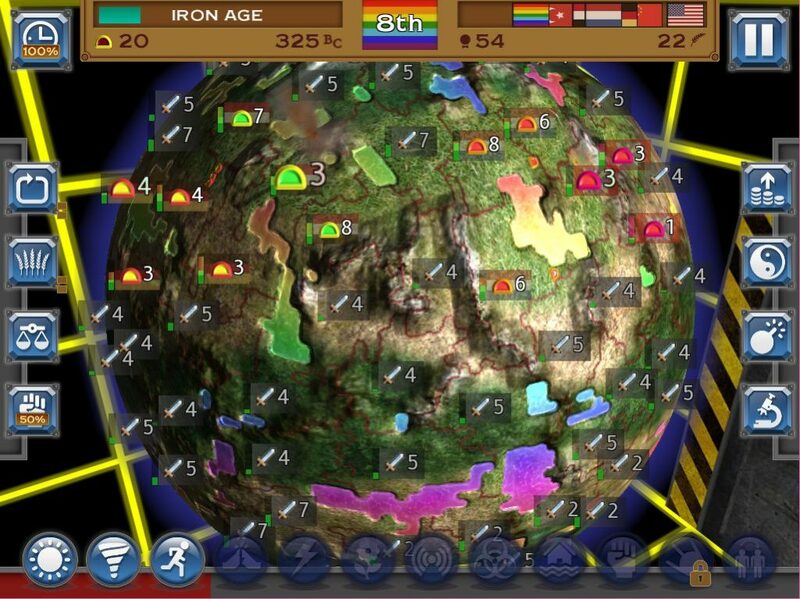 The game was influenced by Sid Meier’s Civilization – as we attempted to make a lightning fast, 5 minute version of the classic world-conquering title. 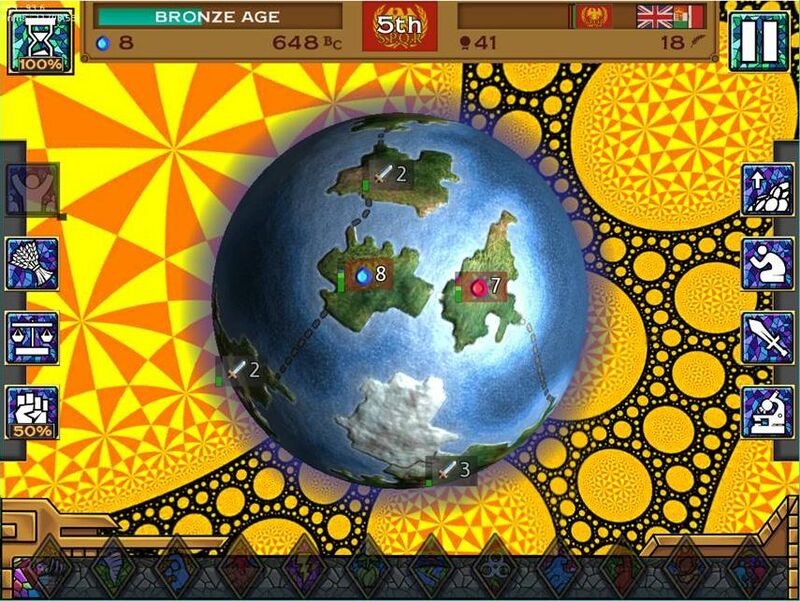 We released the game for iOS as a paid title in November 2014 to good reviews. The game did fairly well, and better when we got featured. However sales dropped off quickly. We then decided to try our hand at the free to play market. In May 2015 we released the free version with adverts and in-app purchases. It didn’t get much attention, but we saw reasonable downloads and decided to have one last roll of the dice by porting the game to Android. In November 2015 we released on the Play store. 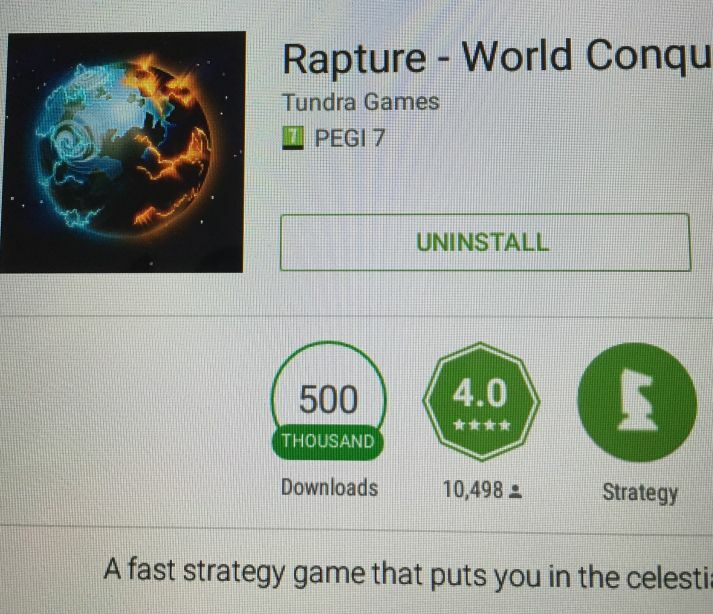 It took around 7 months to convert the game to Android. Mainly because both of us still work full time, so development goes on in the evenings and weekends. Also we had to get up to speed with the Android development environment and the new tech involved. 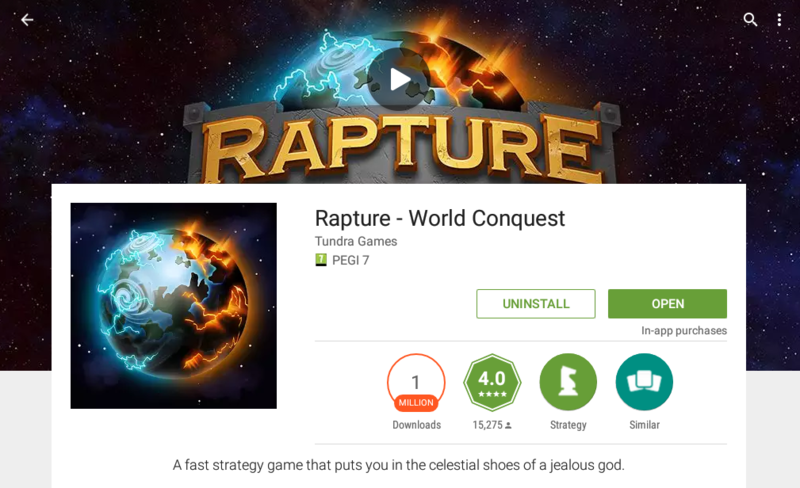 Rapture is built on top of our own Mojo platform. This allows us a lot of flexibility and control over the tech – it also means the game runs fast even on older devices – we don’t have the blackbox of other 3rd party engines to contend with. However the downside is that to add a new platform we need to do the leg work and add it to Mojo. The conversion was long work, especially implementing the Android specific functionality and attempting to support the variety of devices out there. However both of us are PC born and bred, so it was nice to have a break from Apple macs. We used Tegra Nsight to develop the game in Visual Studio – again a piece of software we are both comfortable with. Once the game was ready for release – we tried to make a similar splash with the game as the iOS version, but it’s difficult to get attention for a game that’s been out for a year already on another platform. Initial downloads were fairly quiet, but we saw a slow and steady rise. Using the Google Dev Console and being on the Play Store has so far has been a good experience. The review system on Google is particularly wonderful, Android users seem to be more inclined to review games than iOS users so we get a large amount of feedback each day and can get a better view of what players enjoy or criticize, which helps decide on what we focus on. 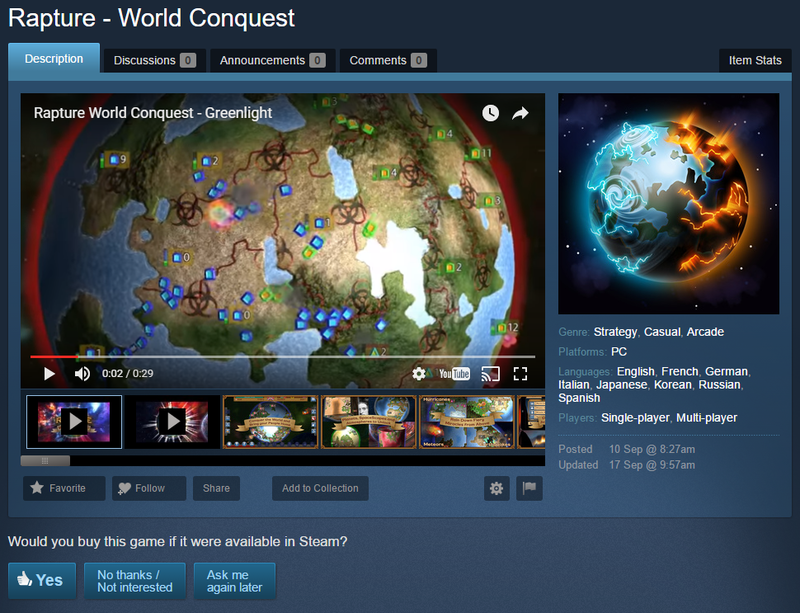 For example we had larger than expected downloads from Russia and had lots of players asking for the game to be translated into their language. It made sense to get it translated and we got a lot of positive reviews in response (with many Russian players good enough to raise 1 star reviews to 5). We can also ask players who see bugs in the game to email directly with further details and screenshots to help track problems down. So it’s been great to have that direct channel with people actually playing the game. In February we were featured by Google. When we initially saw the positioning of our title in the feature (#36 in the “New and Updated” list in the US) we worried it might not have much of an impact, but we were very wrong! Just as the iOS feature had been, it was a massive boost for us – a real milestone for the game and a chance to be seen by a lot more players worldwide. Over the week we were featured we received 260K downloads with a record 44K downloads on the 3rd day. Interestingly, our iOS downloads doubled during this period, an extra 100 to 150 per day, indicating word-of-mouth in action. One thing we did notice with the feature is that our average review score and revenue per user dropped slightly during this period presumably because the users who find a game via a feature are less likely to be engaged by a title than the ones who seek it out themselves. We did have a little misstep towards the end of the feature. Our payment account was suddenly suspended, which turned out to be due to a missed email about accepting an agreement on European Tax law. We had a frantic few days where our in-app purchases weren’t working, but Google were quick to respond and help sort out the problem. Note to self – never skim read an email from Google again! The feature gave us fantastic downloads, but didn’t push us up massively in the charts, we managed 15th the US strategy charts, but only pushing 300 in the overall games chart. Afterwards our base level was pushed up by a little, but generally there was no lasting effect. Then, at the start of March something significant happened – we received a sudden bump in downloads, going up from our steady 1000 per day to 8000 per day. Over the following weeks it gradually dropped and levelled off at 4000 downloads per day. Our chart position for Strategy has climbed and stayed in the top 100 for many key regions. We have searched for a reason for this sudden jump in downloads across all regions but have drawn a blank, we had no new reviews in the press or coverage from large YouTubers, our Google Play keywords strengthened but that came after the jump, so we can’t explain the leap upwards. We seem to have hit a sweet spot in terms of organic search results – so, currently at least, we’re no longer invisible! 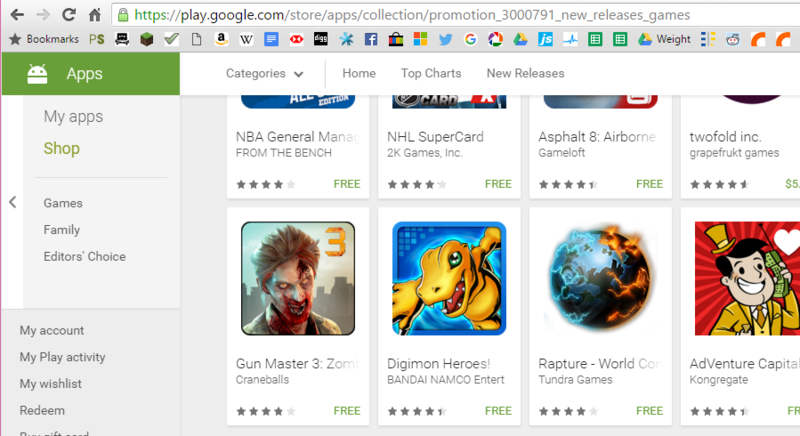 Our best guess is that perhaps we crossed some threshold in terms of downloads, reviews or user engagement such that we’re now being placed in Google Play’s “Recommended for you” section more often. Overall our downloads have been very good for an Android title, even if you include the iOS feature, downloads have been more than 8 times higher than iOS 747,623 compared to 88,494. (Although we went in initially as a paid app to iOS, and free with Android, so perhaps that’s to be expected). The numbers that play the Android version has meant that multiplayer games are easier to find (though it still takes a little time to find a match). This is split between adverts (static and videos) $17K and in-app purchases $6K. Android players seem generally to be more open to purchasing the VIP pack in the game (which removes the ads) – but then we have many more players and the game has always been free. The surprise lift in the last few months has been very positive – if it maintains the same level, then we could finally get a reasonable return on the time we originally put into the game and hopefully on ongoing income which we can look to use in whatever we do next. How has iOS been doing? The iOS version of the game has been ticking over quietly in the background. The F2P version has 100 and 200 downloads a day and $7 to $21 per day in revenue. This is obviously a lot less than the Android version, conventional wisdom has it that Android versions will get more downloads because of the larger market but iOS versions will generate more revenue overall because iOS users are so much more inclined to spend money. Our title seems to be something of an outlier, our current Android downloads are about 30 times higher than iOS which is way more than the normal ratio and as a result our Android revenue is about 10-15 times higher. This might be due to the way we released the iOS version originally as paid and transitioned to F2P. The free iOS version didn’t get any sort of initial push that might have kept it up the charts long enough to solidify its place there. After the change to free we also released a premium version, this was the free version with the VIP pack automatically unlocked and no ads or in-app purchases. We decided to put the premium version on the store just to see what it would do in terms of downloads. Originally we received criticism for our paid version having in-app purchases, so we were interested to see if a completely IAP free game might generate some interest. However the premium version got very few downloads, possibly again because it got no initial push. So we decided to take it off the store. Over the last few months we’ve been working on a big update to the game. Previously we’ve released updates with a few new items and options. This time we decided to try creating a much larger package to see if we could generate some renewed interest. We’ve also focused on the feedback we’ve had through the Play store and emails. We have also added 2 new options that have been a common request by players. The first is an option to select the length of a game. We have always pushed back against adding this, however right from the start players have asked for longer games – so the length can now be select and we’ll be very interested to see the reaction. The second related change is the ability to slow down the game – there is now a speed button in the top left during the game and players can now slow things down if they wish. It should also give beginner players an easy time when learning. Our hope is that the update will be big enough to attract the attention of Google and/or Apple and snag a “Best New Update” feature. We’re interested to see whether this happens. We are currently trying to decide on the best way to move forward with Rapture. When we initially released Rapture as a paid title, after a strong launch it felt that there was always constant gravity pulling our revenue downwards week after week. When we switched to free on iOS, it felt like we had established a small and steady ongoing revenue stream but with no sign of that downwards pull. On Android, the situation feels even better – after a slow launch it felt like our title was able to establish a foothold and gradually grow in terms of downloads and revenue. 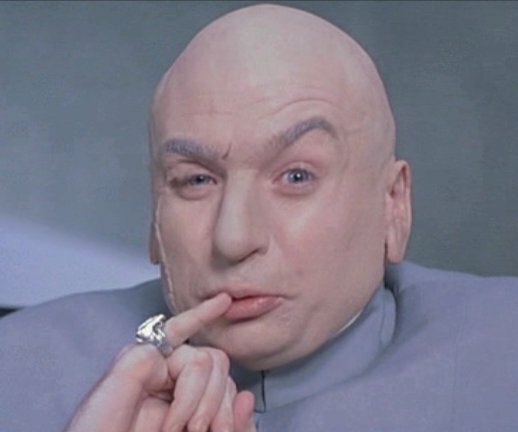 Now with the burst of downloads from the feature and the big unexplained jump upwards in March, we’re looking forward to hitting the one million downloads milestone on Google Play within the next few weeks and we’re very pleased to have got to a place where our title is earning a decent steady income which we plan to invest in our next title. Both of us are keen on a sequel to Rapture. There are many potential features that might work well, but they may not necessarily fit into the current game as updates. A sequel would allow a clean slate and fresh ideas. However the alternative would be to implement all the new features into the current game and keep our existing players. It’s a tough call at the moment and the next update will help make that decision. The other possibility is to work on something different; we’ve been working on Rapture now for 5 years, so it would be interesting to start something new. But we’ll see how the latest update is received. Update – We managed to snag a Best New Update from Google, which gave us a decent boost. More details on that in a future blog. Our game trailer can be found here: with further details and screenshots via our website –www.tundragames.com.